The Hercules solar carport are designed to utilize new or existing parking areas and generate power without sacrificing valuable real estate. Typically offered as an On-Grid PV solution, our innovative design delivers a cross-platform solution combining solar energy generation and an elegant substitute to shading/weather protection for vehicles. It is this multi-purpose characteristic that makes Hercules solar carports ideal for sites that are restricted in space and serve as an economical alternative to traditional carport structures. Hercules use solar panels for the roofing canopy and are structurally engineered to guarantee optimum corrosion and wind resistance that ensures a good as gold performance to price ratio. These kits are offered with single steel column or double aluminum column configurations. 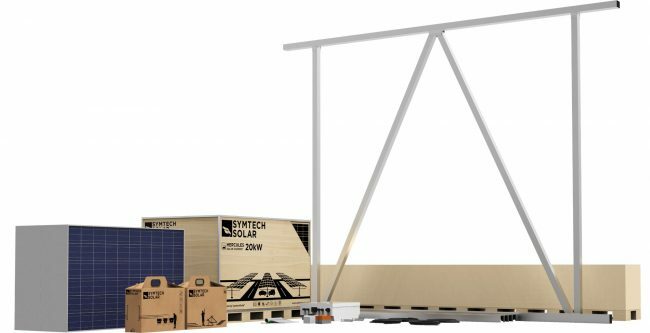 In addition, these grid tie systems are compatible with most electric vehicle charging stations, making them an innovative, clean and environment-friendly fuel source platform. Turn your existing parking lot into a solar energy generating system and provide shaded parking at the same time. Its a win win design with almost any parking area. 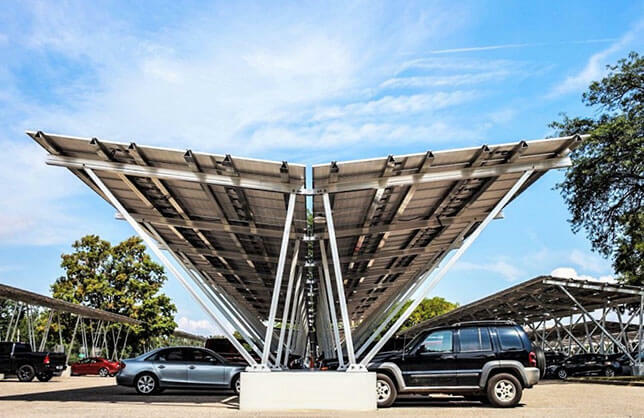 Hercules solar carports and solar canopies are an innovative product that can turn a typical, non-productive parking lot or walkway into a cost effective solar power plant. With no field welding, drilling , or other on-site fabrication, Hercules solar carports are ready to erect upon delivery. Manufactured & designed for simplicity, practicality, & peace of mind. Our Hercules PV Systems are available in multiple layouts and can be designed and engineered for your specific site characteristics. 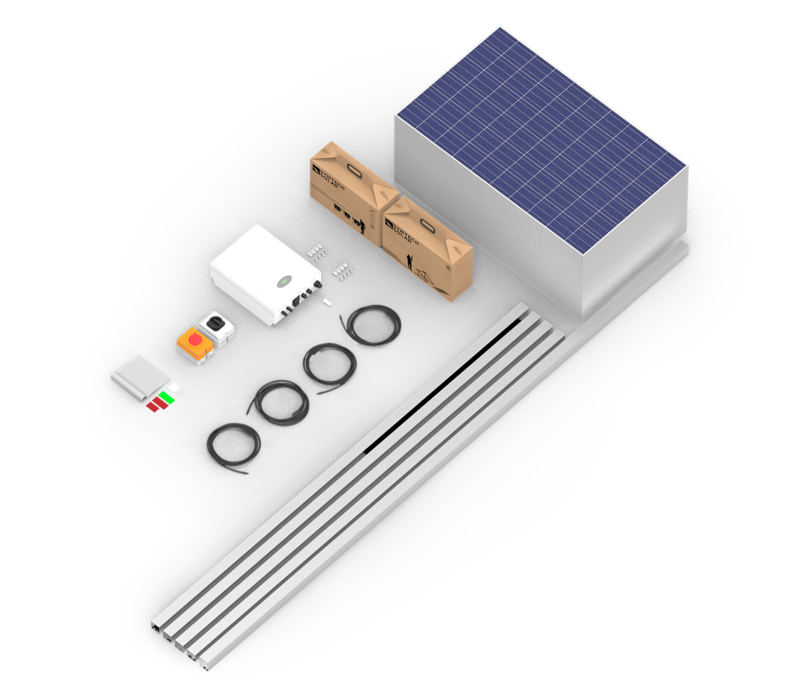 Each kit is install ready and includes all solar the solar carport components necessary for a long term and successful dual use PV system. Don’t see the size you want? Contact our engineering team and let us custom design a system for you. We can design and build almost any size and or configuration.